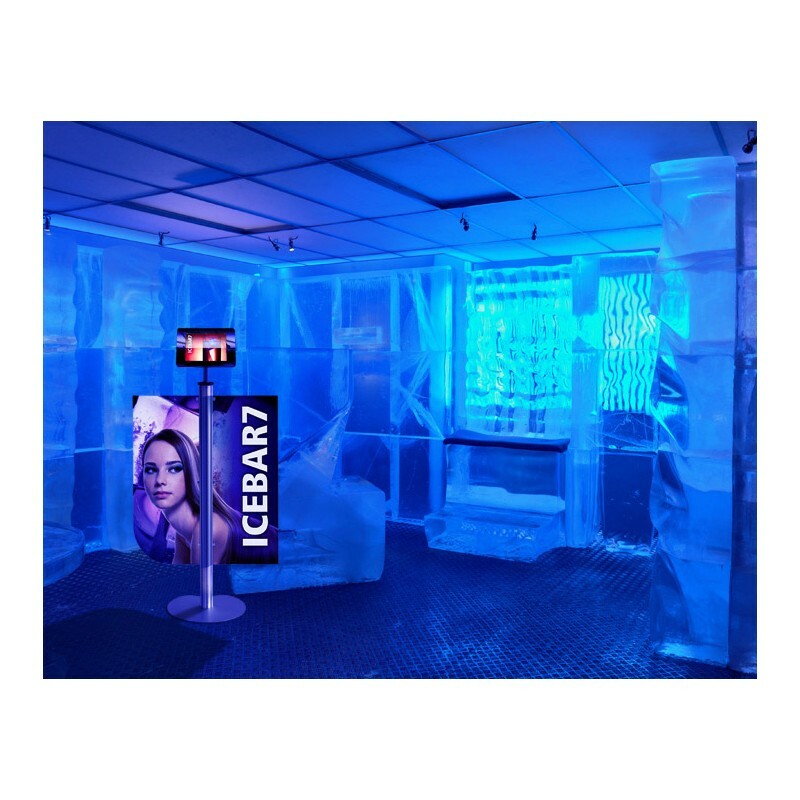 Marketing and customer interaction: two things that are incredibly important to any business – whether your business happens to be a shop, museum or anything else. 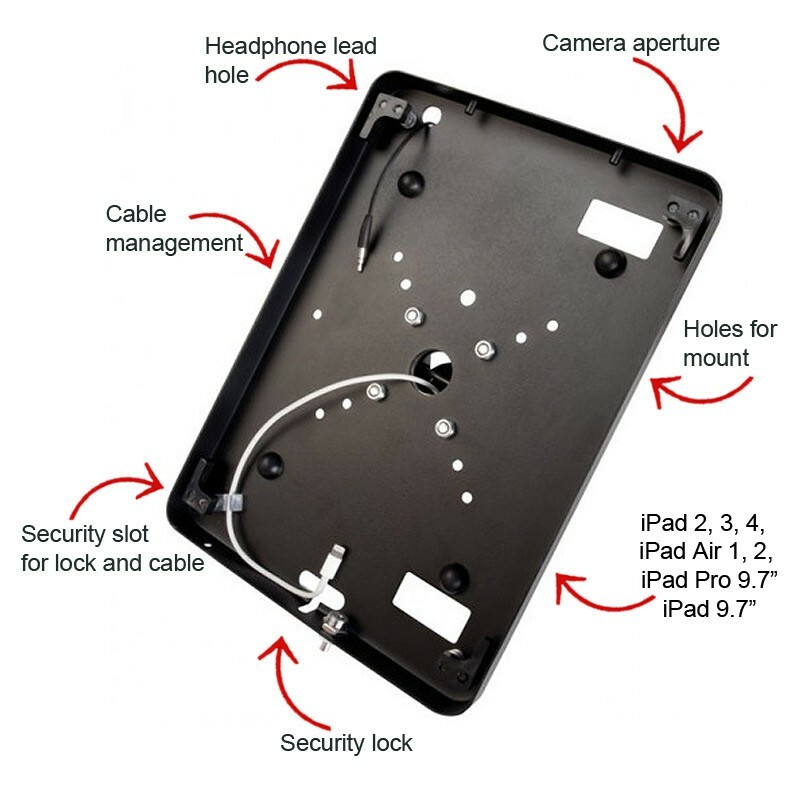 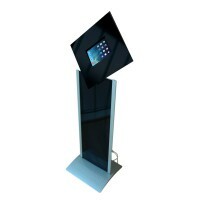 With this iPad floor stand, you will get both of these elements, plus much more. 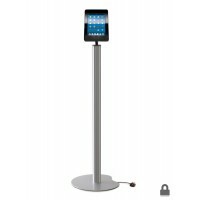 The stand itself is attractive with a sleek, steel design and accommodates an iPad securely at the top. 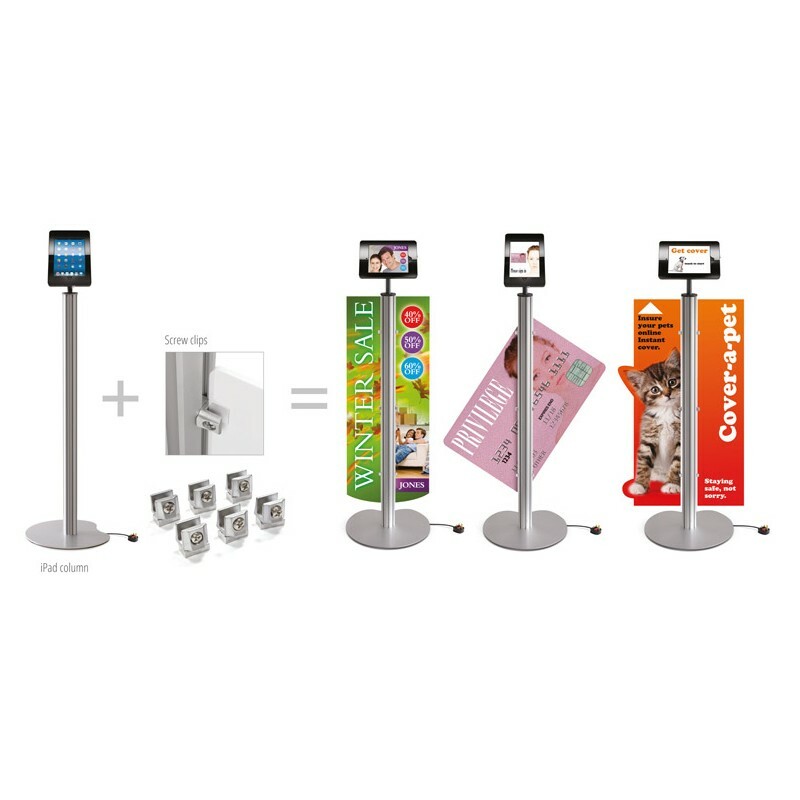 To further enhance the customer’s experience, the tablet can be tilted and rotated to suit their viewing preference, as well as changed between portrait and landscape modes. 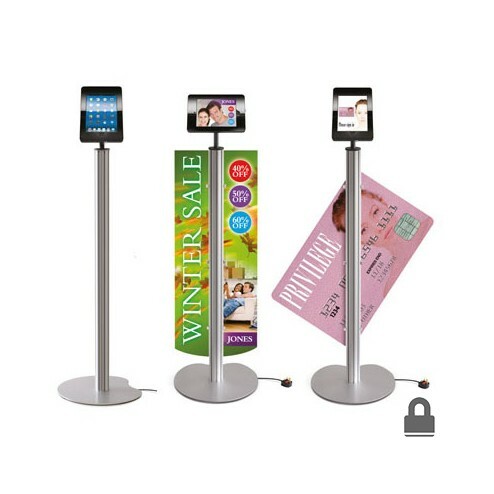 The biggest feature of this iPad floor stand though is the fact that it comes with clips on the stand itself, to which various pieces of marketing can be attached. 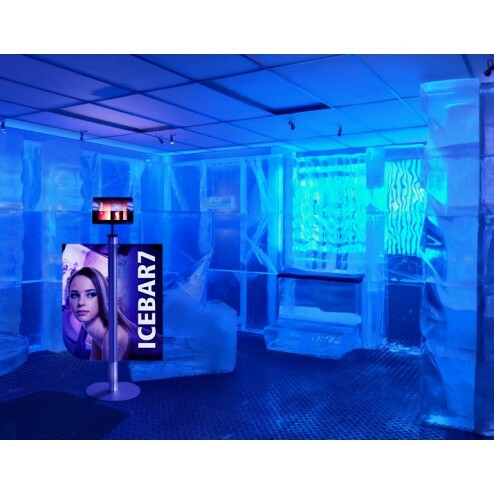 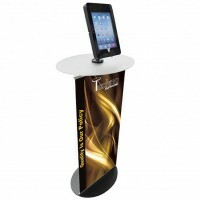 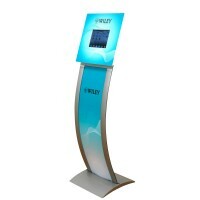 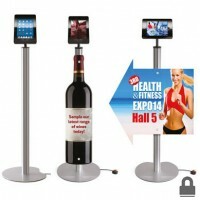 This adds an extra chance to promote your business – it also draws customers in closer to the stand. 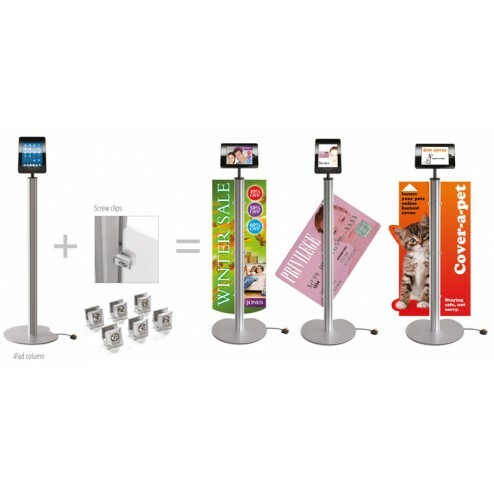 These clips allow you to attach promotional materials in just seconds, and change them for new ones at will. 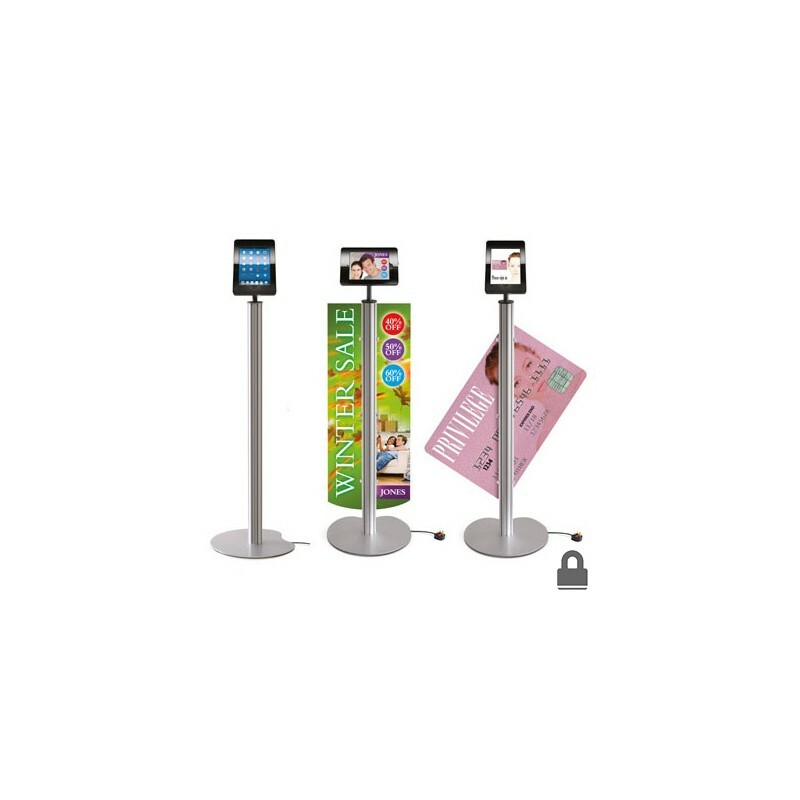 This means that our iPad floor stand is perfect for places like exhibitions and trade shows, where you’ll need to react quickly to what the customers want to see.